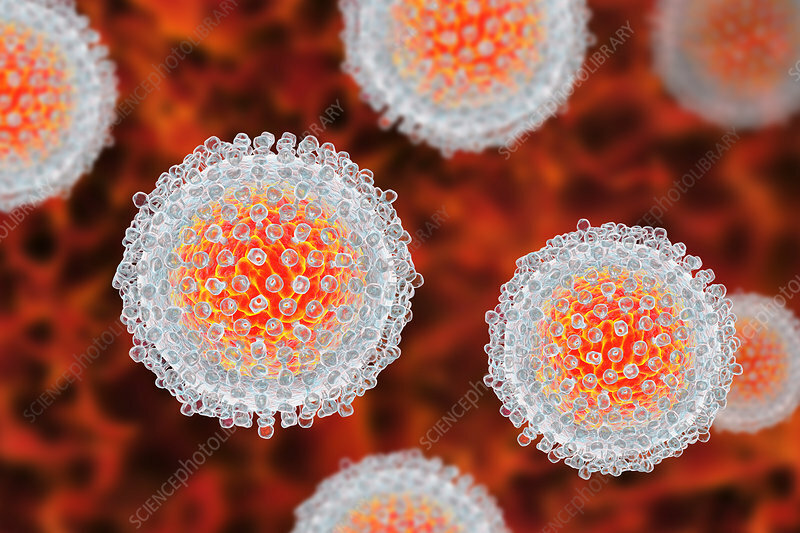 Hepatitis C virus, illustration. Hepatitis C is most commonly spread by blood contact, through blood transfusions or the sharing of infected needles. It causes inflammation of the liver with jaundice and flu-like symptoms.